Riding a bicycle can be a great fun. Be it a kid learning how to ride a two-wheeler or an adult trying to stay in shape, bicycle comes to the rescue. And, it is still something that you drive on the road. And even with the addition of separate bicycle lanes for the people, the danger is still present. So, in case of mis happenings, you will need a reliable bicycle helmet to protect you from any injury. Bicycle helmets are invaluable gears that anyone can use or wear when riding a bicycle. These helmets provide much-needed protection in case of a fall or crash while riding a bicycle. Professional bicycle riders who participate in competitions have many gears including knee caps, elbow caps etcetera but one thing that every professional or regular biker should wear is a helmet. The helmets provide protection to the head of the person. The brain is the most essential part of the body that makes every other part of the body function and that is why it is vital to keep it secure. 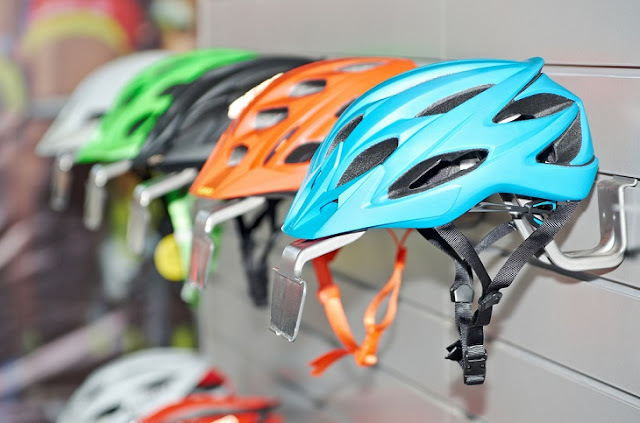 Many accidents result in death due to head injuries and helmets help prevent that. Helmets normally should fit your head perfectly. This means that your head should be covered properly, and the fitting should be such that every movement of your head is mimicked by the helmet. Your head should not wobble inside it at all. When it comes to options, there are helmets which only cover your head while being strapped to your neck. It is a choice you can opt for if you do not be punished by law. Because in Australia, wearing helmets while riding the bicycle is compulsory but it does not mean that you will be protected efficiently. Reliable bicycle helmets come with full protection. This means that it covers you from head to chin and makes everything easy for you. In case of a crash, you can rely on this to make the entire thing less painful and this type of helmet would prevent head injuries from happening. Always wear your helmet when riding the bicycle. A helmet lying in your head would not save you from head injury. And even though, things like that can be easy to forget, but deaths are not so easy to erase. Remove the helmets when not in use. The straps of helmets are known to get struck in places, causing strangulation especially in the case of children. So, it is necessary to remove the helmet when not in use. Or the thing that is made to protect you in the worst of cases might end up taking a life. Lastly, ensure that when you are riding the bicycle, the strap is enclosed tightly. Otherwise, the helmet might as well fly off in case of an accident. Riding a bicycle is healthy too, so it is important you make sure that you are riding it safely. For this, you can always choose a good quality reliable bicycle helmet which can ensure better safety.